Your supply chain is similar to a line of standing dominos, if one piece goes down, it could cause a chain reaction and take all the other pieces down with it. If you have a supplier or manufacturer in your supply chain that goes bankrupt or consistently delivers late, you could have a serious disruption on your hands. 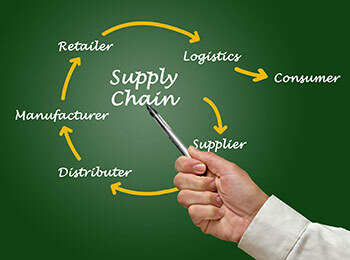 It makes sense that you’d want to take the necessary precautions when choosing new businesses to add to your supply chain, in order to try and avoid the domino effect. 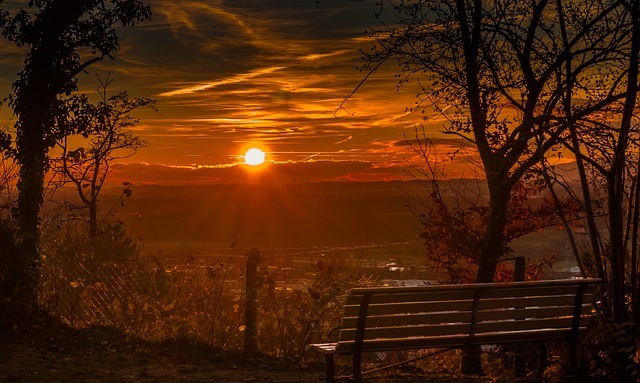 But, you can’t exactly predict the future, so you’re often taking the risk that a key component to your operations may fall flat. There are a few ways, however, that you can assess a potential supplier or manufacturer and decide in advance if it seems stable enough to add to your supply chain. By analyzing a business’s credit report, you can use data and predictive scoring to help you decide which companies you want to partner with. The following is a guest post by Brad Greenberg, counsel in the U.S. Copyright Office, Office of Policy and International Affairs. Copyright law and new technologies have a long history, arguably dating back to the Gutenberg Press in the 15th century—more than 200 years before passage of the matriarch of copyright statutes, Britain’s Statute of Anne. New technologies provide new tools for creative expression and new vehicles for sharing those works. But sometimes they also disrupt existing copyright regimes—as seen with player pianos (late 1800s), radio (1920s and 1930s), cable television (1960s and 1970s), photocopying (1970s), home video cassette recorders (1970s and 1980s), and, of course, digital downloading and streaming technology (today). Emerging technologies continue to raise novel questions for copyright, particularly with a copyright system built around a law now more than forty years old. Is a poem written by a computer entitled to copyright protection? Does a mass digitization project for displaying snippets of in-copyright books require licenses from each copyright owner? 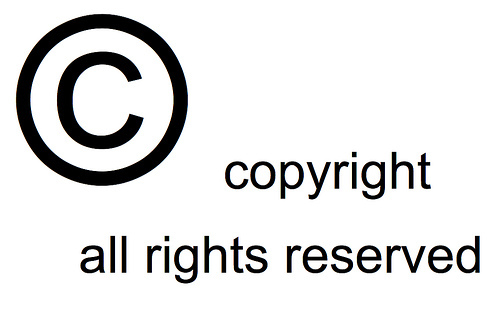 When does copyright’s first sale doctrine apply to digital works? A bit of copyright music litigation history gives some shape to the relationship between copyright law and new technologies. There's been a lot in the news over the past week or two about the WannaCry cyber-attacks and what companies, in particular, are doing about the risk. As well as keeping antivirus, firewall, application and OS software up-to-date, backing up key data regularly to offline hard drives should be a top priority, most cyber experts agree. This is because data breaches and cyber-attacks are inevitable these days. The bad news is that the average cost of a data breach globally stands at $4m (£3.1m), according to SailPoint, an identity management firm. This article from the BBC discusses what attacks mean for business and what steps can be taken. · Disconnect your device (computer, gaming system, tablet, etc.) from the Internet. 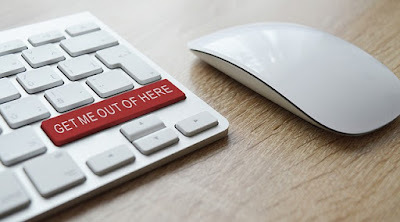 By removing the Internet connection, you prevent malicious actors from being able to access your computer and perform tasks such as locating personal data, manipulating or deleting files, or using your device to harm others. · If you have anti-virus software installed on your computer, update the virus definitions (if possible), and perform a manual scan of your entire system. Install all of the appropriate patches to fix known vulnerabilities. A leaked document published by The Guardian outlines the guidelines Facebook is using to monitor big topic issues like violence and racism. Saying “#stab and become the fear of the Zionist,” for example, would be considered a credible threat—and Facebook moderators would be able to remove that particular content. But saying “kick a person with red hair” or “let’s beat up fat kids” is not considered a realistic threat of violence. Similarly, videos featuring violent deaths will be marked as disturbing, but will not always be deleted because they might raise awareness about issues such as mental illness. Clearly, there are gray areas in the way content is handled. What the leak has done is shed light on one simple truth: Publishing mammoths like Facebook and Google (which has also experienced its share of controversy over content) can’t currently provide 100% brand safety. At scale, user-generated content provides too great of a challenge. And this doesn’t necessarily bode well for advertisers. The unemployment rate for foreign-born persons in the United States was 4.3 percent in 2016, down from 4.9 percent in 2015, the U.S. Bureau of Labor Statistics reported. The jobless rate of native-born persons fell to 5.0 percent in 2016 from 5.4 percent in the prior year. Data on nativity are collected as part of the Current Population Survey (CPS), a monthly sample survey of approximately 60,000 households. The foreign born are persons who reside in the United States but who were born outside the country or one of its outlying areas to parents who were not U.S. citizens. The foreign born include legally-admitted immigrants, refugees, temporary residents such as students and temporary workers, and undocumented immigrants. 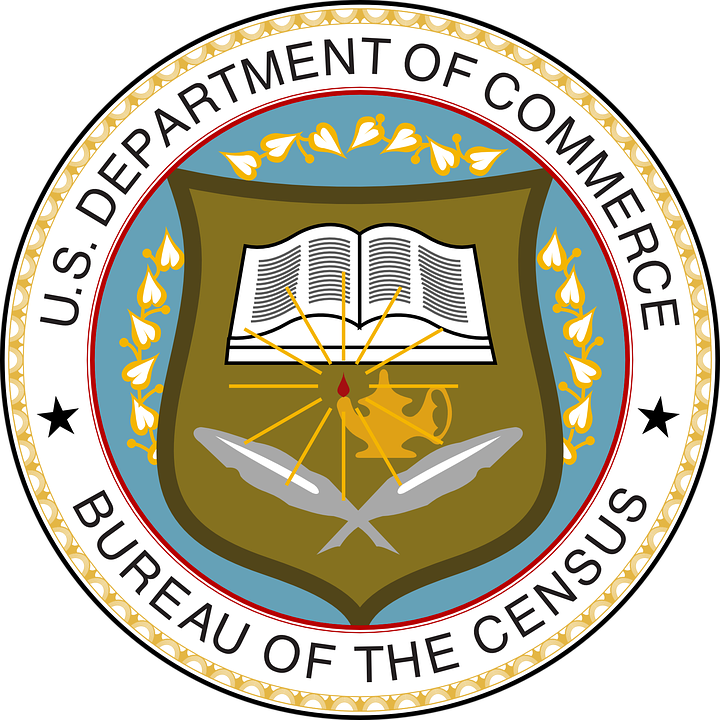 The survey data, however, do not separately identify the numbers of persons in these categories. --In 2016, there were 27.0 million foreign-born persons in the U.S. labor force, comprising 16.9 percent of the total. --Hispanics accounted for 48.3 percent of the foreign-born labor force in 2016, and Asians accounted for 25.0 percent. --Foreign-born workers were more likely than native-born workers to be employed in service occupations and less likely to be employed in management, professional, and related occupations. The demographic composition of the foreign-born labor force differs from that of the native-born labor force. 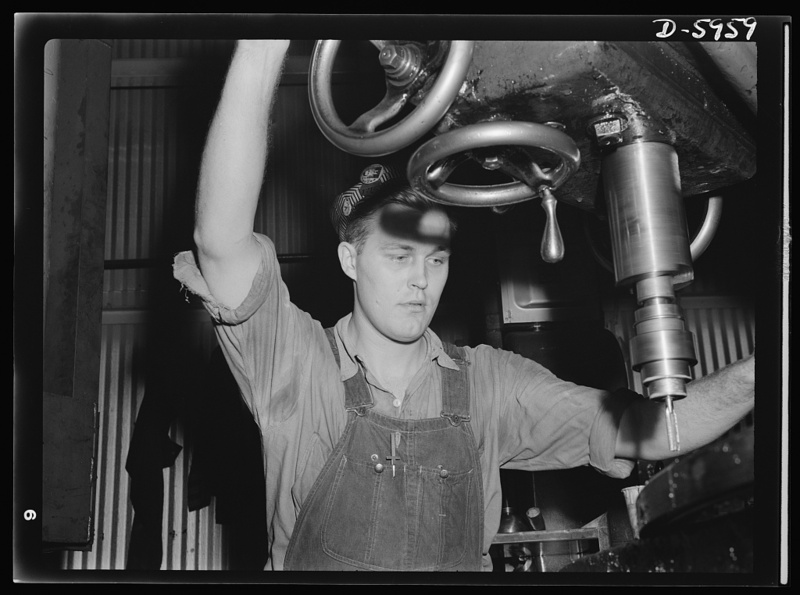 In 2016, men accounted for 57.9 percent of the foreign-born labor force, compared with 52.3 percent of the native-born labor force. By age, the proportion of the foreign-born labor force made up of 25- to 54-year-olds (73.4 percent) was higher than for the native-born labor force (62.4 percent). Labor force participation is typically highest among persons in that age bracket. Managing employees is never easy, but managing employees who aren’t even in the same room can be a whole different ball game. If any of those thoughts have crossed your mind, read on. That’s exactly what we will address. Millennials are different than older generations in many ways. According to new research, that generation gap is even wider when it comes to the sharing economy. They were also more likely to use car services like Uber. 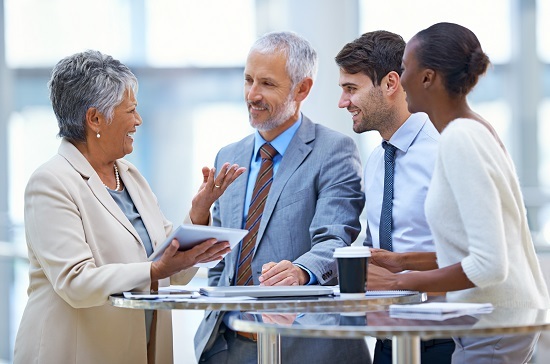 According to the U.S. Bureau of Labor Statistics (BLS), about 40 percent of people ages 55 and older were working or actively looking for work in 2014. That number, known as a labor force participation rate, is expected to increase fastest for the oldest segments of the population—most notably, people ages 65 to 74 and 75 and older—through 2024. In contrast, participation rates for most other age groups in the labor force aren’t projected to change much over the 2014–24 decade. BLS data reveal how the age makeup of the U.S. labor force is changing. From 1970 until the end of the 20th century, older workers—which BLS defines as those ages 55 and older—made up the smallest segment of the labor force. In the 1990s, however, these older workers began to increase their share of the labor force, while workers in younger age groups started to have declines in their labor force shares. And by 2003, the older age group no longer had the smallest share. And, although they make up a smaller number of workers overall, the 65- to 74-year-old and 75-and-older age groups are projected to have faster rates of labor force growth annually than any other age groups. The supply chain is going digital. In their annual industry report, Deloitte and MHI found that 80% of supply chain professionals believe that digital supply chains will overtake traditional supply chain models within the next five years. To prepare for these changes, and to put their companies in the best position to succeed with a next-generation supply chain, industry professionals will have to fully understand the latest technologies. The rollout of EMV chip cards in recent years may have deterred criminals from making fraudulent in-store purchases, but it hasn’t stopped them dead in their tracks. They simply found a new target: call centers. Call center fraud rates have increased steadily every year since at least 2013 and more than doubled between 2015 and 2016, according to an annual call center fraud study by the research lab of Pindrop, which helps financial institutions and retailers battle call-center fraud. It counts among its investors Google Capital and Citi Ventures. For retailers, so-called chargeback fraud is the most common: Criminals call a retailer, make a fraudulent purchase using someone else’s identity and credit card number, and have the product sent to another address. 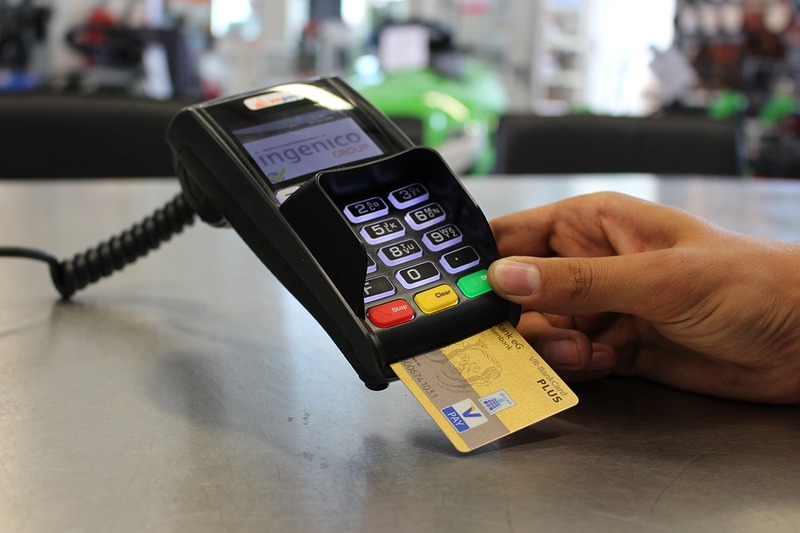 Loyalty cards also have surfaced as a major area of attack as criminals use them to cash out reward points, said David Dewey, director of research at Pindrop Labs, in an interview. The report, which studied more than half a billion actual call center calls, mostly in the US, and most of them involving companies that receive an average of 40 million calls a year, found that the fraud rate surged to 1 in 937 calls in 2016, up from 1 in 2,000 in 2015, and 1 in 2,200 in 2014. While every industry in the study is seeing increased fraudulent activity, the retail industry has an unusually high incidence rate. 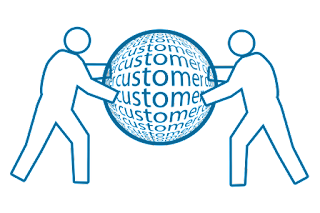 Customer experience is a big retail buzzword these days, but when it comes to actually delivering a “wow” experience to consumers, retailers are generally falling short. A 25-country study by IBM found that on a scale of 0 to 100, retailers scored a subpar 33, and worse yet, they missed the mark on areas such as personalization, store and mobile experiences—key aspects of customer experience. In fact, the study ranked only 3% of brands as “leading edge,” compared with 39% of them it considered falling or lagging behind. The study, IBM’s fifth annual customer experience report, covered 507 retail and consumer products brands. Mystery shoppers rated their experience in seven ways: store experience, digital experience, physical/digital integration, mobile experience, omnichannel supply chain, personalization and social media. In an era when store experience is supposed to be a key weapon that brick-and-mortar retailers use to fend off competition from online rivals, the study sounds a dismal note: the store experience score was basically a failing 20. Personalization was another area where retailers still have a lot to catch up on. 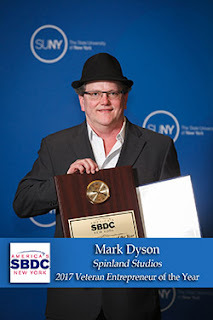 The New York Small Business Development Center is pleased to recognize the boldest, brightest, and best small companies and enterprising individuals in New York State. Eight small business owners were honored at the 2017 Client Awards ceremony on April 24, 2017. Read all their stories here. Eli Smith has been in business since 2011. His business, So Gone Trash Removal, which includes 24 employees, provides trash hauling, demolition, post clean-up on job sites and estate clean-outs – full service junk removal. 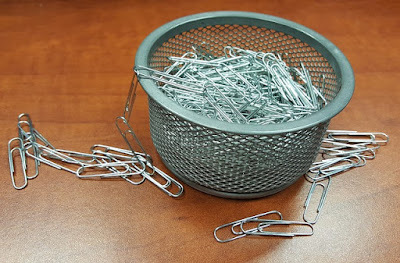 They recycle as much as possible in order to promote a healthy environment today and for years to come. In 2013 he participated in the Onondaga SBDC’s MWBE Contractor training program. The SBDC provided assistance with the training and connected him with Empire State Development, as well as other local programs and opportunities to expand his business. Advisor Melissa Zomro also assisted Eli with business expansion and financing advice. In October 2016, Eli was awarded one of the first annual Carey Gabay Excellence and Innovation Awards for Minority-and Women- Owned Business Enterprises at the New York State MWBE Forum Transformation 2016. 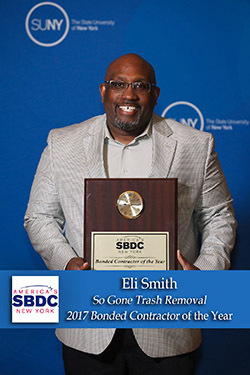 The award recognized Eli’s “Entrepreneurial Spirit and Achievement as a New York State-Certified MWBE.” He was chosen for this award in part because he secured $5 million dollars in surety bonds. He has also secured over $1million in contracts. Based on our experience, there's a lot you can do. 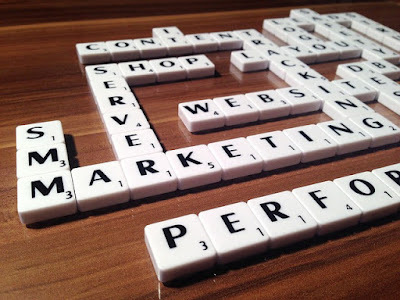 In fact, with most content, the post-publishing optimization process can improve an article's performance significantly. Examples we've come across are as simple as a piece that was too long and made users drop off, or one, which tested readers' knowledge of a topic, had too many questions about other, unrelated subjects, leading to frustration. 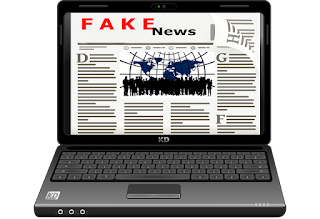 Some situations are more complex and harder to spot, such as an article with a positive headline but a negative tone in the content itself, or any kind of mismatch between the way an article is being promoted and the substance it in fact provides. All of those issues can be spotted and solved before your content reaches full audience exposure. The story of Doris Ulysse is testimony to the grit and talent of a determined inner city African American woman entrepreneur. Doris specializes in network design and administration. She is particularly adept at configuring and integrating hardware and software for a full spectrum of client types. After years of working as an IT professional she consulted the Brooklyn SBDC to test the waters of entrepreneurship. Advisor Janet Page guided her through the business planning process and MWBE certification protocol. Doris became an MWBE subcontractor through the NYC Office of General Services and a contractor for the NYC Housing Authority. After two years Doris returned to the SBDC to better learn how to use the 8A system. Doris obtained a $5,000 line of credit to demonstrate financial capacity. She learned how to search the federal database to find prime contractors looking for partners, and also how to find other 8a firms with which to network. Doris’ next steps are to get an even larger line of credit, finish the NYC Mentorship Program, enter the SBA Mentor-Protégée program, and win multiple federal contracts. Thanks to multitasking (and our method of accounting for it, explained in a moment), US adults’ average daily time spent with major media will slightly exceed 12 hours this year, according to eMarketer’s latest report, "US Time Spent with Media: eMarketer’s Updated Estimates and Forecast for 2014-2019". 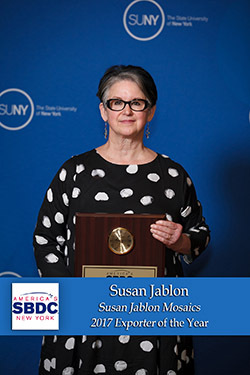 Susan Jablon Mosaics, LLC was founded in 2000 and since then has grown to be a world-class manufacturer-supplier of mosaic tiles. Under Susan’s guidance, unmatched quality of mosaic tiles created by the business, which employs eight full-time people, has gained notoriety worldwide. Susan’s inventiveness has resulted in her creations being featured in hotels and casinos, on the DIY network’s various programs, on every episode of Hell’s Kitchen, and in the movie Men in Black 3. 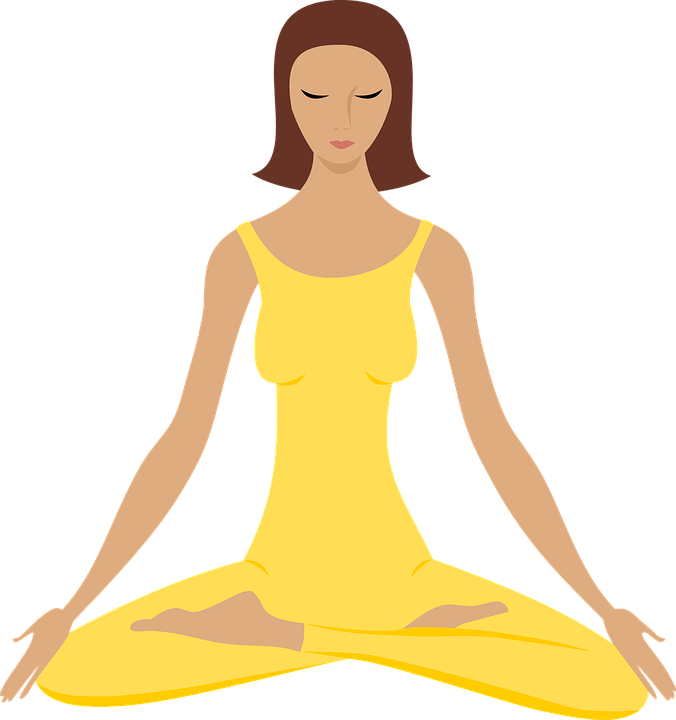 Her product is unique and desirable in upscale markets in places in the United States, Canada, France and United Arab Emirates, resulting in steady employment and growth in the business. Susan initially became a client of the Binghamton SBDC following the damage caused by Tropical Storm Lee and Hurricane Irene. The SBDC worked with her as she recovered from the storms and then expanded into a larger manufacturing facility, which Susan purchased. Her commitment to her employees, her customers and to the Binghamton area is remarkable. Susan was nominated for SBA Exporter of the Year, and was the winner for the Region as well as for all of New York State. Spinland Studios, LLC is a 3D-modeling and computer animation service started in 2010 by U.S. Air Force veteran Mark Dyson. The company’s primary focus is on broadcast media and advertising, but also supports areas such as instructional and/or educational messages. Over the past 15 years, he’s built & animated 3D aircraft models for the DoD Flight Simulator line, built real-time interactive data displays and controls for DoD clients using 3D gaming engines, built and animated 3D models for industrial firms, and provided VFX support for feature films. Mark began working with the Mohawk Valley SBDC in 2012 to support his transition from a full-time job to full-time focus on his growing business. 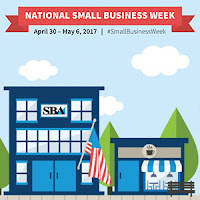 In 2016 he once again connected with SBDC representatives and reached out for additional support around government contracting and marketing. 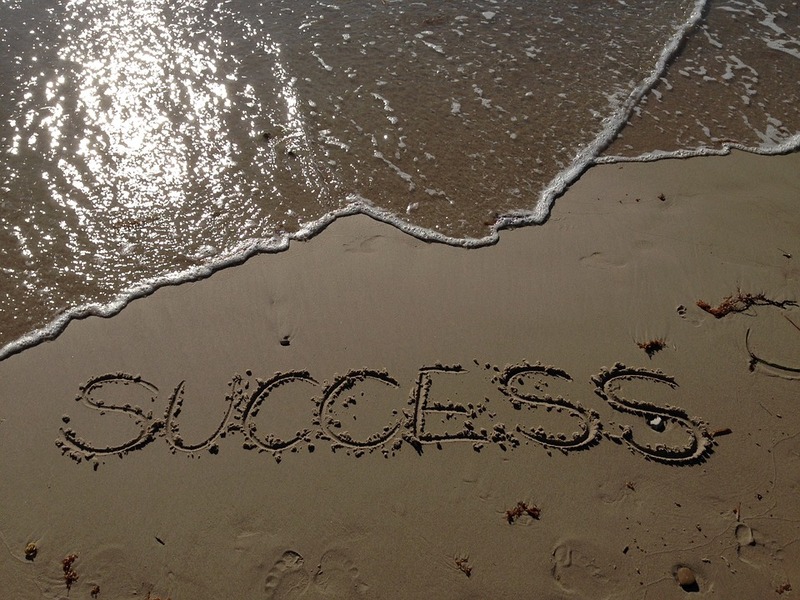 The business now works with clients throughout the country. Next he is interested in working with the SBDC to pursue the new NYS service-disabled veteran-owned business (SDVOB) certification. Mark has been selected as a new Chamber Board member, another indication of his commitment to the small business sector. 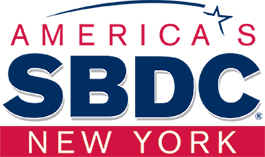 The New York Small Business Development Center is pleased to recognize the boldest, brightest, and best small companies and enterprising individuals in New York State. Eight small business owners were honored at the 2017 Client Awards ceremony on April 24, 2017. Read all their stores here. J. Ben Primicias has been in the school supply business for a long time. He opened his first store with the assistance of the Watertown SBDC in 1991, selling a variety of educational items for teachers and parents. In 1996 Ben returned to the SBDC for assistance in buying property and building a structure with more room for inventory. The expansion required that he add new employees. Most of Ben’s in-store business is from local teachers, schools and parents, but his catalog has generated sales from across the country and overseas and account for nearly half his total sales. 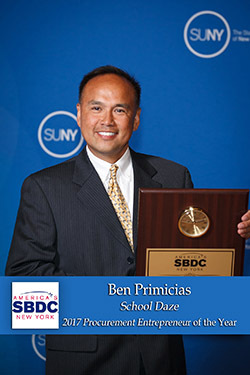 In 2008, Ben added another aspect to his business, consulting the SBDC before building an attached seasonal ice cream stand called Cool Craze, which serves both soft serve and hard ice cream. By 2015, Ben was considering closing the business and retiring because of increased competition with state contracts. He talked to his SBDC Advisor and determined that as a native Filipino he qualified as a minority vendor. It took nearly a year of perseverance, but he finally received his NYS certification as an MWBE business, gaining access to more contracts. With his revenues growing again, Ben decided against retirement and has added more employees. 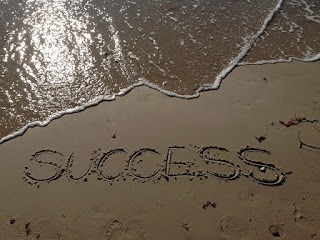 Everything from the way you feel about getting up to head into the office each morning, to the quality of relationships with your business partners, and the words you use on a daily basis, will have a long-term effect on whether or not you'll become successful. At the direction of Acting Chairman Maureen Ohlhausen, the Federal Trade Commission has launched a new website – ftc.gov/SmallBusiness – with articles, videos, and other information aimed at helping small business owners avoid scams and protect their computers and networks from cyberattacks and other threats. Cyberattacks can be particularly devastating to small businesses, and many of them lack the resources that larger companies have to devote to cybersecurity. Symantec Corp.’s 2016 Internet Security Threat Report(link is external) indicates the percentage of spear-phishing attacks targeting small business rose dramatically from 18 percent to 43 percent between 2011 and 2015. 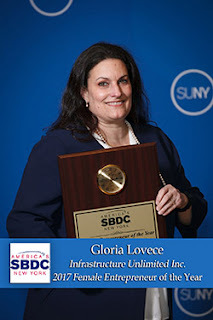 NYSBDC Female Entrepreneur of the Year – Gloria Lovece, Infrastructure Unlimited Inc.
Gloria Lovece is President of Infrastructure Unlimited Inc., the construction company she started with her two brothers. The company specializes in the installation and remediation of public infrastructure - notably bridges, railroads and power lines. Her company is a certified Disadvantaged Business Enterprise (DBE) in NY and NJ with certification pending in Ohio. In a male dominated industry, she has worked hard to overcome many obstacles. As a startup, Infrastructure Unlimited was awarded its first contract, sealing 28 bridge decks on interstate highways with heavy traffic and finished the project ahead of schedule. Gloria worked with the SBDC to find additional capital to fund her continued growth and to navigate the process of DBA certification. Gloria’s firm received a $375,000 SBA guaranteed loan from M&T Bank, and combined with an additional investment in cash and equipment the company has added three new full-time positions and bidding on more projects. As an entrepreneur, Gloria is fulfilling her childhood dream of having a company where women and minorities are welcome and able to thrive. Hillary Clinton wasn't the only loser in last year's elections. 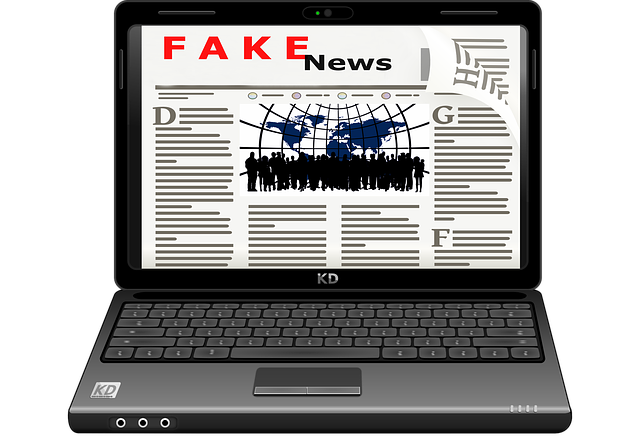 Facebook and the media were put on the defensive about their role in what has become known as "fake news," which has spread in a "post-truth" political climate. At Cueva Interior Innovations they believe that space matters. 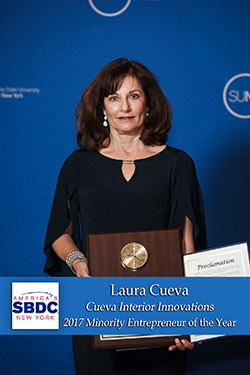 Laura Cueva and her staff help businesses, educational facilities and medical facilities enhance employee productivity through creative space planning and cost-effective furniture solutions designed to promote employee well-being in the workplace. 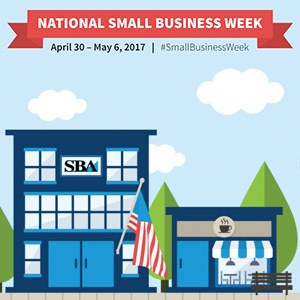 Laura first consulted the SBDC for assistance in starting her business, and later worked with SBDC to complete the paperwork required for MWBE certification and as approved in 2014. Most recently, Laura consulted with Roxanne Mutchler about marketing and procurement issues. 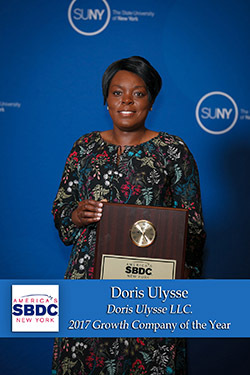 With SBDC assistance, Laura submitted an application to the NYS MWBE Bridge-to-Success Loan Program to obtain financing to support a government contract with SUNY Oneonta for almost $300,000. She was approved by NYBDC for a line of credit for $250,000. Laura has received several small contracts with SUNYs and her Bridge to Success loan will catapult her business to the next level. 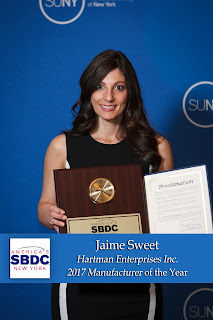 NYSBDC Manufacturer of the Year – Jaime Sweet, Hartman Enterprises Inc.
Hartman Enterprises Incorporated is a precision machine parts manufacturer located in Oneida that employs more than 45 people. The business’ facility consists of over 25,000 square feet of manufacturing space. Since taking over the family business, CEO Jaime Sweet has achieved her father’s dream of making the business woman-owned and certified. She worked closely with the Mohawk Valley SBDC to achieve this goal and to navigate the various federal and state certification programs. The company is now HUBZone and WOSB certified, and their MWBE certification application is pending review by New York State. Jaime has also worked tirelessly to garner the company various awards, grants, upgraded industry certifications, and other enhancements that strengthen its infrastructure and competitive position in the manufacturing marketspace. These training grants that support the company’s Safety and Quality Management System Upgrade from its existing 15 years of ISO 9001 Certification to AS 9100 Rev C to enable it to do business for the aerospace industry. Hartman Enterprises has already obtained new aerospace customers as a result of this effort. The regulations against net neutrality have been moved back into the spotlight. On April 26th, Ajit Pai, FCC Chairman, gave a speech in Washington where he announced his move to undo an Obama-era FCC regulation against broadband internet providers. His proposal looks to undo the 2015 rules that implemented net neutrality with a Title II classification. But people on each side of the debate have varying concerns about altering the regulation and how it not only affects the big companies but the little guys as well. 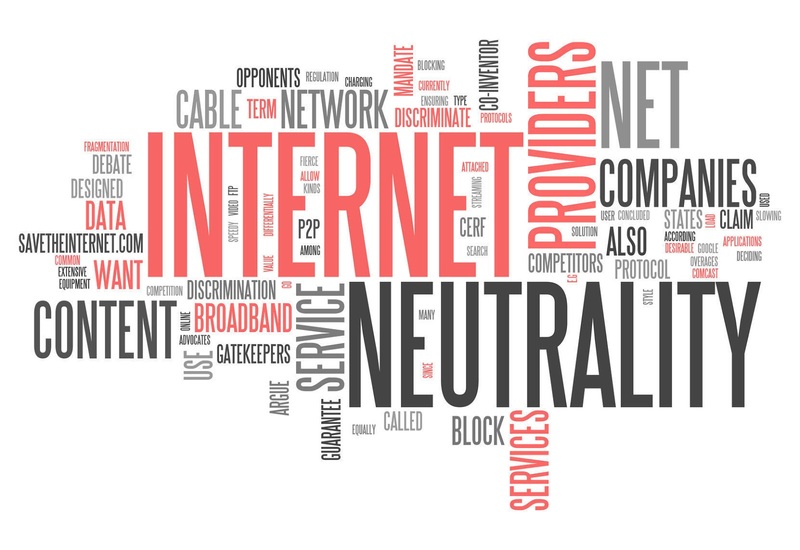 With an initial vote coming up on May 18th, many are looking to better understanding of net neutrality, review the proposed changes, and weigh the benefits and worries the changes may create. In this article, we’ve outlined the key details about the current and proposed legislation, how it may affect small businesses and operations, and what the future may hold if it’s passed. 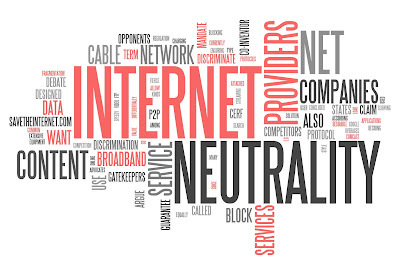 Net Neutrality (also known as Open Internet) revolves around the idea that all internet service providers (ISPs) treat the deliverability of web traffic, applications, and content equally. Over the past several weeks, I've been really thinking about balancing work and life. As one of IMPACT's Marketing Strategists, I'm often juggling 100 different things for clients any given week -- and as a mom of three under the age of 10, I'm juggling a million personal objectives and tasks on top of that. Balancing work and life, with or without kids, is probably the most challenging thing to figure out for anyone. Whether you are in marketing, a CEO, or heading off to college for the first time, we all deal with it daily, and honestly, I still don't know how the heck I do it. 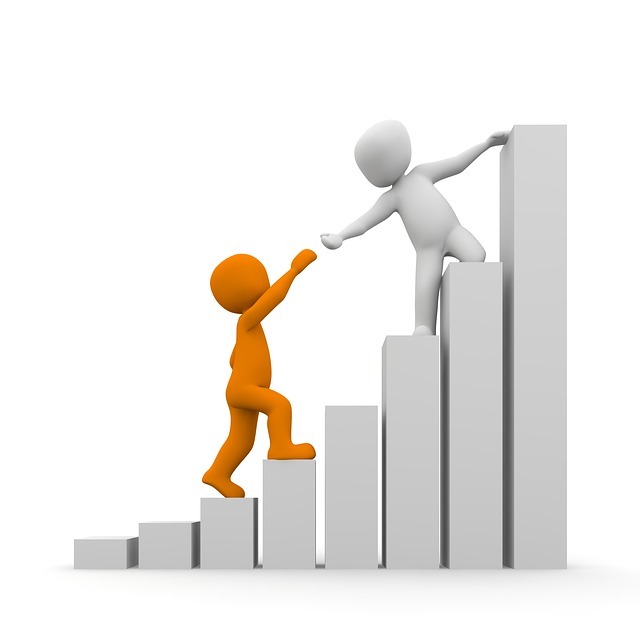 But, the point of any blog from IMPACT is to provide value and help. Despite knowing I will spend the rest of my career fine-tuning my work/life balance, I'll let you know what works for me and for others I have spoken to over the last several weeks, and hopefully you'll be inspired to find your perfect work/life balance too. MARCH 6, 2017 — This report provides national estimates of total annual sales, e-commerce sales, end-of-year inventories, purchases, total operating expenses, inventories held outside the United States, gross margins, and end-of-year accounts receivable for retail businesses and annual sales, total operating expenses, and e-commerce sales for accommodation and food service firms located in the United States. The Annual Retail Trade Survey (ARTS) sample covers employer businesses classified in retail trade sector and accommodation & food services sector located in the 50 states and the District of Columbia. The ARTS excludes data for businesses located in the U.S. territories. 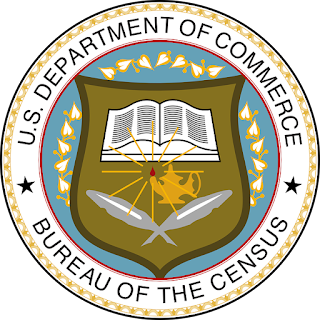 The data are published on a North American Industry Classification System basis and the estimates are used to benchmark the monthly retail sales and inventories estimates each spring. By now, we've all seen the shocking viral videos. The rage-inducing photos. The fire-and-brimstone calls for a boycott, firings, and someone's head on a platter—preferably Oscar Munoz's, if George R.R. Martin has his way (you know it's bad when the guy that dreamed up with the world's most twisted wedding is outraged by your behavior). 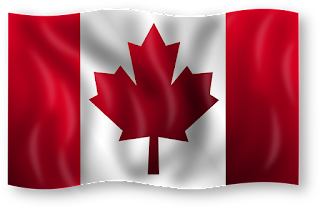 Canadian business uncertainty is high following the recent US election due to the Trump administration’s goal to renegotiate the North American Free Trade Agreement (NAFTA). The Canadian economy has relied on US markets for decades with exports to the United States consistently comprising more than 70.0% of Canada’s total over the past 10 years. Amid potential NAFTA renegotiations, Canada has pursued closer trade relationships with other regions including Europe and Asia, which will present both opportunities and challenges for the country. 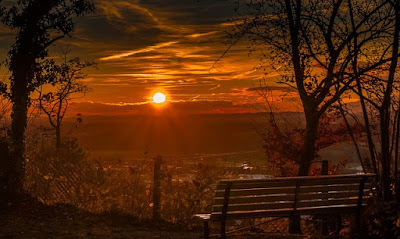 It’s a tone of voice, a feeling, a set of expectations that arise when people hear your name. 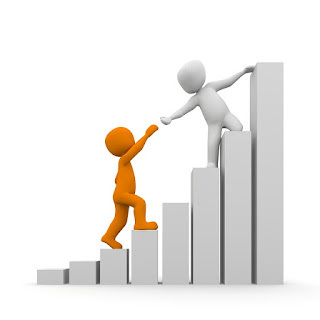 It’s the values and emotions that the thought of your business evokes. A logo or color palette are simply reflections of these larger ideas - but that doesn’t make them any less important. In fact, it actually makes them even more important. Regardless of what your business is, you should establish a brand and branding. 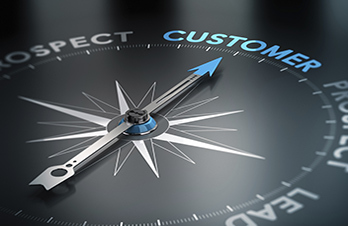 Having a well-thought out, consistent brand creates a sense of professionalism and reliability and instills confidence in both prospective and existing customers . For owners of small businesses, this concept can be intimidating and seem expensive, but it doesn’t have to be. In the handy infographic below, Cooper House, an Oklahoma-based branding and design studio outlines a number of essential tips to help small-business owners establish and maintain a brand and as well as tactics for creating recognition.